The East Africa Dairy Development (EADD) II Tanzania Cluster Monitoring Learning and Evaluation (MLE) Assisant reports to the EADD II Rungwe Cluster Leader, working in laison with the Country MLE Officer for direct technical guidance; and works closely with the Regional Monitoring Learning Evaluation lead. S/he also works closely with the country management team to provide the overall support to the Monitoring Learning Evaluation function across the Rungwe cluster. As such, s/he will work in close collaboration with respective EADD staff with the view to supporting the cluster to realize quality project outcomes and to document and present the same in a manner that is impactful and of high quality. To this end, he/she will provide technical assistance, advice and support on key aspects of Monitoring Learning Evaluation that would shape the overall EADD II’s Tanzania framework and ensure that all outcomes are achieved. Responsible for the overall management of data from the Cluster to meet the EADD set standards. Enthusiastic, Orderly, Compliant, Creative, Determined, Diligent, Self-starter, critical thinker, curious. Set up a monthly project monitoring dashboard for Rungwe Cluster. Assist POs and DIGs to intergrate and apply Social Capital Development (SCD) Participatory Self Review and Planning (PSRP) as a monitoring tool at their levels. Provide periodic gender disergregated data reports on the progress of the cluster project activities. Maintain a database for the project beneficiaries in the key project on a continuous routine for DIG, PO and Cluster. Support Project Management Committees (PMCs) in project progress monitoring on a quarlterly basis. Support the Rungwe’s Alex Body (MCU) in ensuring a monitoring system are established and functional. Work closely with the Community Facilitators (CFs) to ensure that all DIG and Farmer data is accurately maintained on a monthly basis. Conduct simple surveys to assess the effectiveness and (need for) completeness of the project services offered to farmers. Conduct quality data collection and management in accordance to latest industry standards as adopted by EADD MLE at cluster level and supporting the PO extension coordinators. Support the Country MLE Officer to conduct quarterly quality assurance procedures for data prior to its use for Rungwe data. Develop and set-up Survey CTO systems including supervision of farmer profiling exercise at the Rungwe cluster and ensure quality data entry. Assist Apex Body [Maziwa Coop Union (MCU)] to institute evaluation systems and tools. Assist in the capacity building of the DIGs, POs and field team to identify and document key lessons. Support the Rungwe field staff in the documentation of the most significant change stories. Foster quality participatory monitoring by mentoring and involving primary stakeholder groups in the MCU and POs. In collaboration with cluster and Finance Teams, assist evaluation of project value versus set resource; funds and time. Support implementation of Project Self Reviews and Planning (PSRP) sessions project evaluations. Support at least 5 CFs and at least 52 DIGs in Rungwe in achieving its deliverable for volumes, farmer numbers through Social Capital Development. 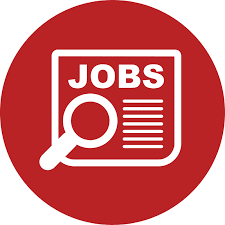 At least two (2) years of demonstrated experience in the Monitoring, Learning & Evaluation field, ideally gained through working in the development context, preferably in a non-governmental organization (NGO) or relevant private sector context. Experience in supporting and monitoring field-based programs. Experience in managing databases and coordinating evaluations, surveys and impact monitoring at a senior level. Bachelor’s degree or equivalent in international development, quantitative economics, business and or statistics or the equivalent with an academic focus on monitoring and evaluation. Experience in supporting and monitoring field-based programs in Tanzania or the East African region. Proven experience in staff training. 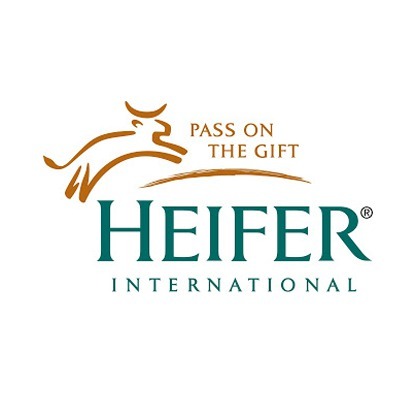 Understanding of Heifer’s Value-based model is an added advantage. A clear understanding of the dairy value chain. Demonstrated ability to design and implement strategies aimed at providing institutional capacity building’ to key partner institutions with a view to building efficient, competitive, and sustainable dairy industry. Knowledge of and experience with developing private/public partnerships at the national and business level. Demonstrable knowledge in quantitative and qualitative approaches to monitoring and evaluation and ability to communicate MLE concepts clearly with leadership, partners, farmers, and staff at all levels. Preparing and presenting documents in a well-designed format with good readability. Ability to understand, appreciate and implement Heifer’s Value-Based Holistic Community Development. Willingness and ability to assign and review the work of direct reports and to use participatory management skills with junior and senior staff. Proven team leadership and supervisory skills with the ability to train and work cooperatively with a diverse staff, including interns, enumerators among others. Willingness and ability to travel extensively throughout Tanzania and other EADD project sites.